You are an inspiration. 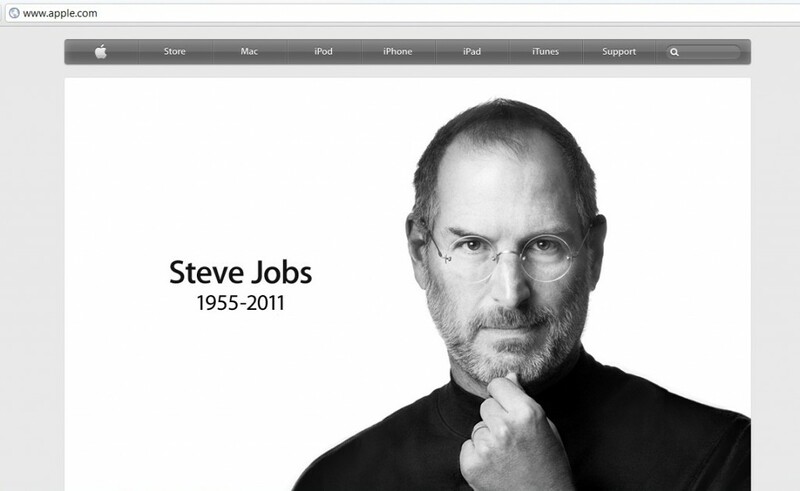 Thank you, Mr. Jobs. World Animal Day was started in 1931 at a convention of ecologists in Florence as a way of highlighting the plight of endangered species. Since then it has grown to encompass all kinds of animal life and is widely celebrated in countries throughout the world. October 4 was chosen as World Animal Day as it is the Feast Day of St Francis of Assisi, the patron saint of animals. I have not heard of a Belgian dog so I searched the internet for the breed of our dog. I looked for a database of all dog breeds and the landed on different websites. I seem to agree with the teenager that our dog is part Belgian Malinois. 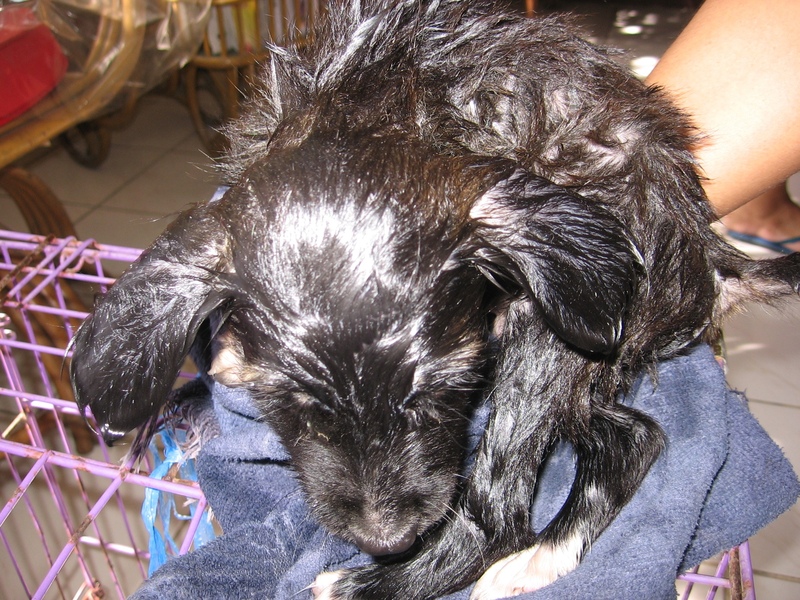 Some of its physical characteristics and the temperament described matched that of our dog. He is hyperactive. He thrashed the garage when left alone. He ran in circles when confined in a closed space. Leisurely walk is not his thing. We had to do some a running and other activities. When I told my aunt about the possible dog breed of her pet, it scared her. 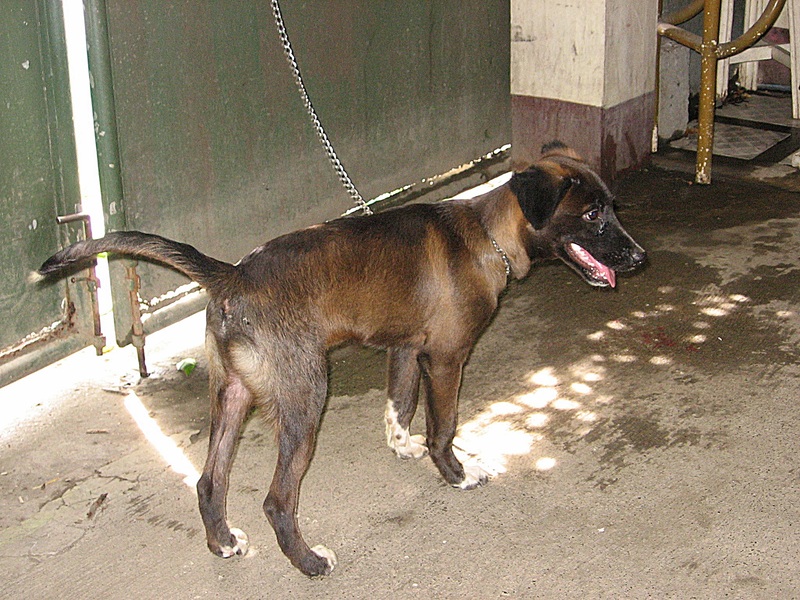 This dog breed is not recommended to first-time pet owners. I told her that a Malinois is a guard dog. It is usually used as a police dog. It is said to be preferred over a German Shepherd because a Malinois has no hip problems. It is said that a Belgian Malinois helped capture Osama Bin Laden. She got scared. I tried to ease her fear by telling her it is just a mixed breed and that Cesar Millan said, “The problem is not the breed. It is the owner.” This time I got scared. HA! My aunt wanted a lazy dog. The type who can be left around the house without an incident. This dog was given to us because the owner of the dog’s mother can no longer look after the puppies. Our dog benefactor told us that the mother is a calm and gentle dog. Besides, he was so cute when he arrived. Who can refuse this? And we thought the only problem we will have is toilet training. The puppy pooped and peed everywhere. 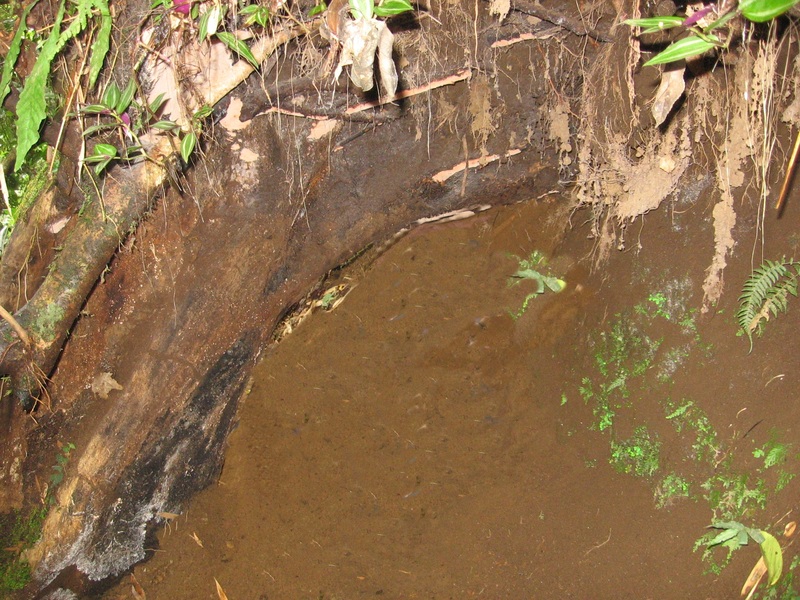 The house smelled like a dog and newspapers were scattered as a catch basin of the excrement. We realized his hyperactivity then so we borrowed a relative’s unused kennel for him. One night, he was able to ‘escape’. My aunt found all her magazines all over the floor with a happy puppy on top chewing bits of paper. We are now using his 4th leash. He broke a chain, gnawed on a woven leash and ‘Houdinied’ himself out of a body leash. He has outgrown his kennel so we now tie him to the garage door. Our 4-month-old puppy has grown into a regular-sized dog. My cousin told us that he might grow larger because his feet are big. He has toned down his hyperactivity as long as he gets his daily exercise. It turned out to be my daily exercise as well. He walks, runs and jumps leaving me panting and drenched in sweat. When I sit and rest, he rests on my lap and licks on arms. Sweet thing. I am beginning to smell like a dog. This morning, his guard dog instincts kicked in. 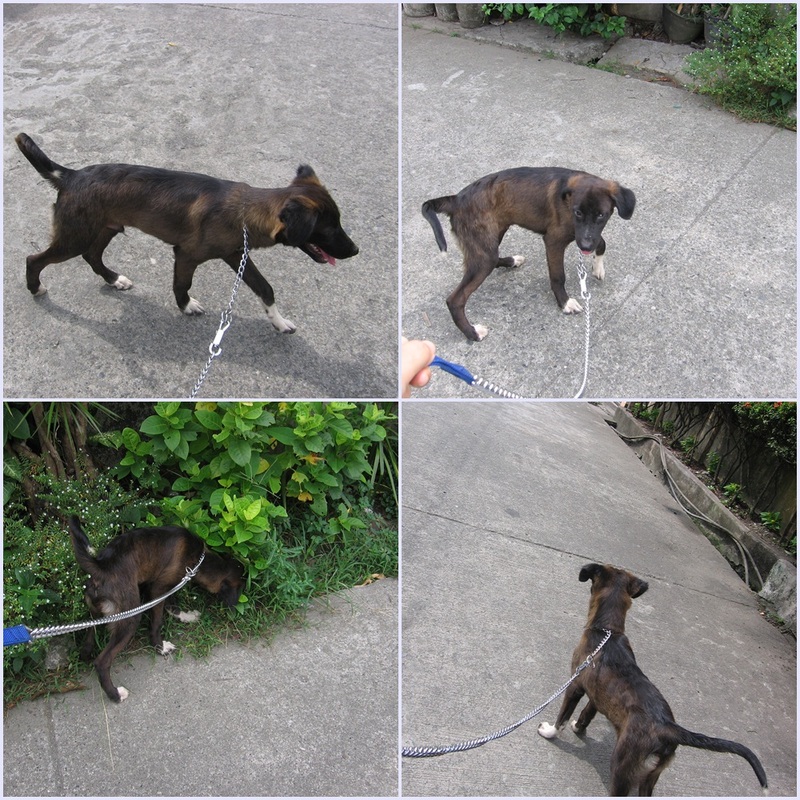 We were on our regular morning walk when he barked at a scavenger rummaging the neighborhood garbage area. He barked so hard and deep so unlike his regular barking sound that when my aunt heard him she thought a bigger dog was going to pounce at us. It was Joaqui, our dog. February of this year, I found myself scouring the Cebu Pacific website for their promo fare. I was able to book 5 people for a trip to Manila. Little by little, I was about able to find a good deal to fly to Naga from Manila. 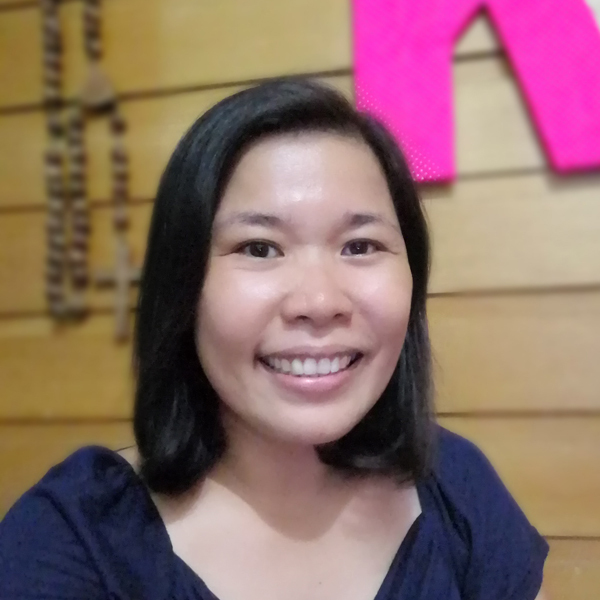 My friend was a Jesuit Volunteer and she was assigned in Naga for one year after graduating from college. She was the one who invited me to go with her in this trip. We stayed in her friend’s house so we saved on hotel bills. Her friend’s house was a mansion-in-the-making so it was like staying in a hotel. We had clean sheets and nice bathroom. The room was air-conditioned but the house was designed to be energy-efficient. The large windows when opened invited cool air in the evening. Unlike my HK trip, I did no research for the trip because one of my friends who also joined this trip was a thorough researcher. Our itinerary was laid out complete with time and date. Our host also made a complementary itinerary to further enhance our Bicol experience. 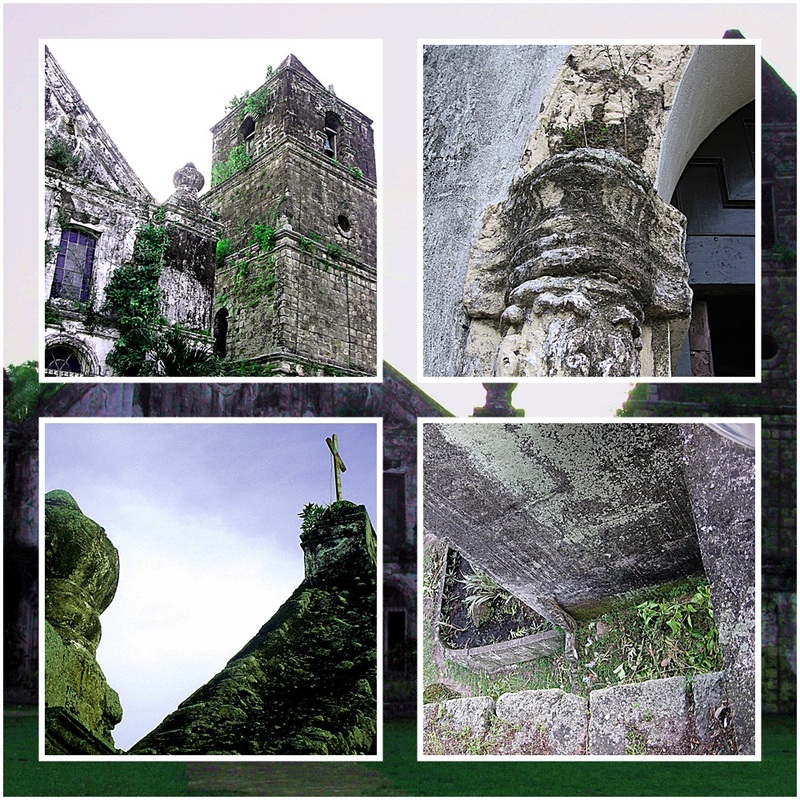 There was so much to see in Camarines Sur. The trip was refresher course in geography for me. I have never been in this part of the country. If I expand the map, one would find Mt. Isarog figured prominently in the frame. We hired a jeepney for the whole day to reach the spots on our list. 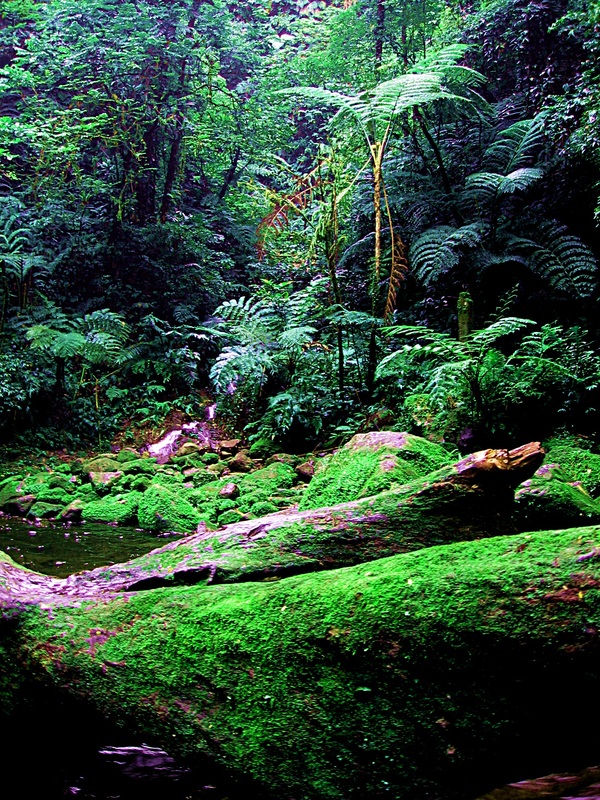 One of such destinations is the Mt. 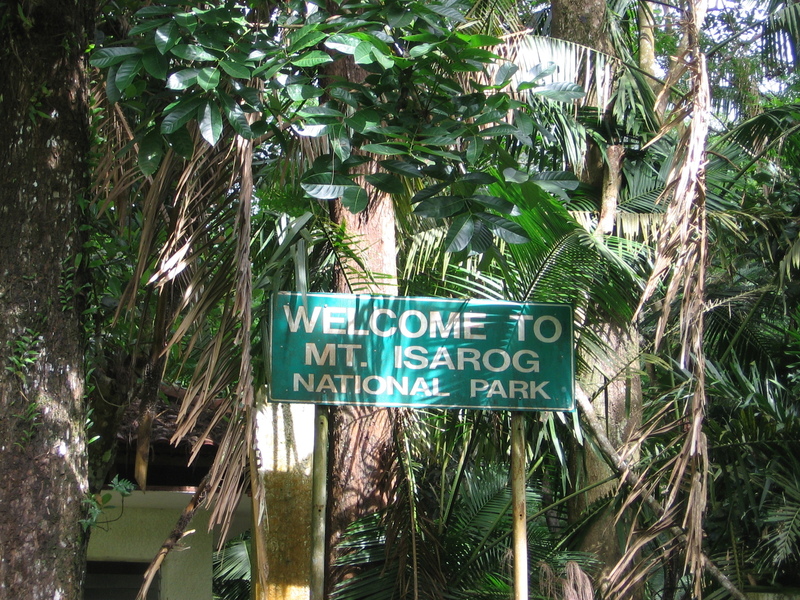 Isarog National Park. 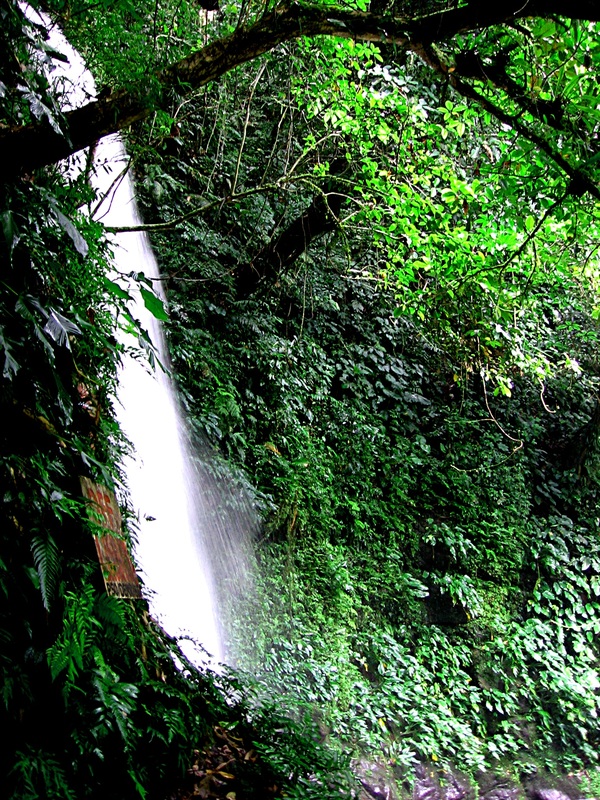 As the jeepney ascend to the area where our trek would commence, I heard my ear pop. I knew I was in an area with an elevation. After several minutes of walking uphill, this welcomed us. I felt the muscle in my legs tighten as it received its much-needed toning. 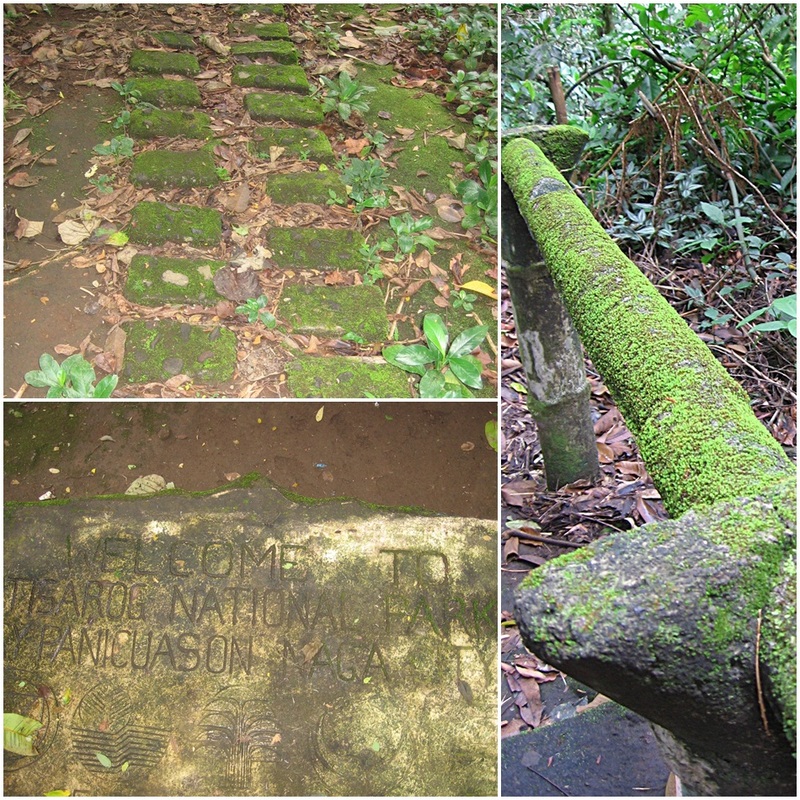 This is the beginning of an adventure going down to see Malabsay falls. The steps were tricky as we navigate the trail. There was even an area where we had to crawl. At this point, the sunglasses I hung in my neckline fell into a ravine. Our gracious host became my hero for the day. He climbed down the treacherous ravine to rescue my sunglasses even if I said he does not need to get it for me. I’d rather lose my father’s sunglasses than face the risk of him falling. He descended like Spider-Man. The few seconds he spent on the slope seemed like minutes as I was praying to high heavens. My stomach churned as the acrophobia in me kicked in. He handed me my sunglasses before I can even say ‘Amen’. All the fear and anxiety vanished when I heard the water rushing down from the falls. Mist lightly clung into my camera’s lens but did not succeed into ruining my photos. Malabsay falls was breathtaking. Pardon me if I had to load lots of photos. It is a sin not to. 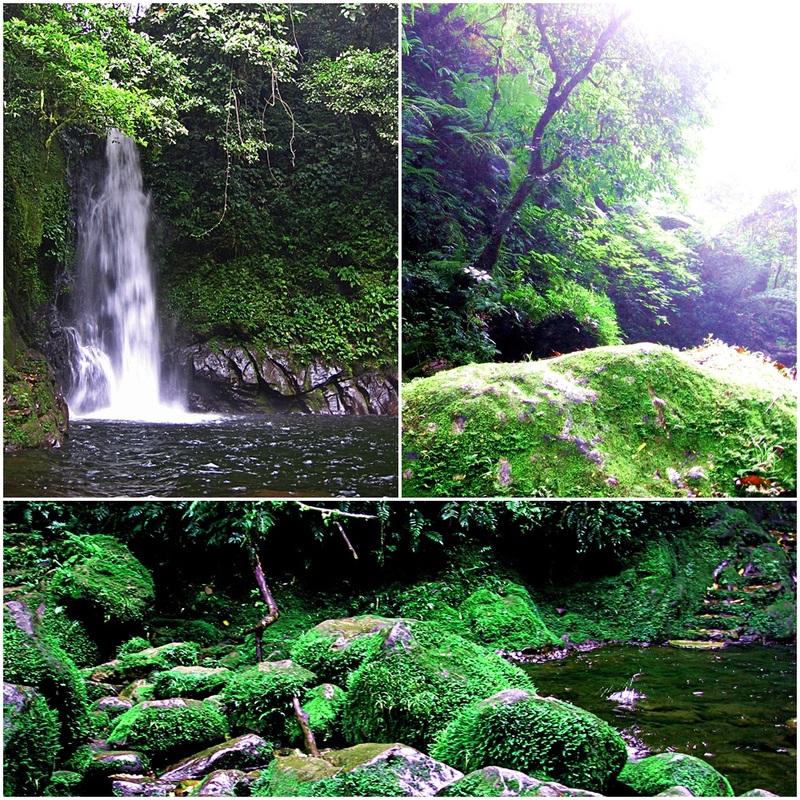 A quick trip to Iriga City brought us to this Emerald Grotto overlooking Iriga City with Mt. 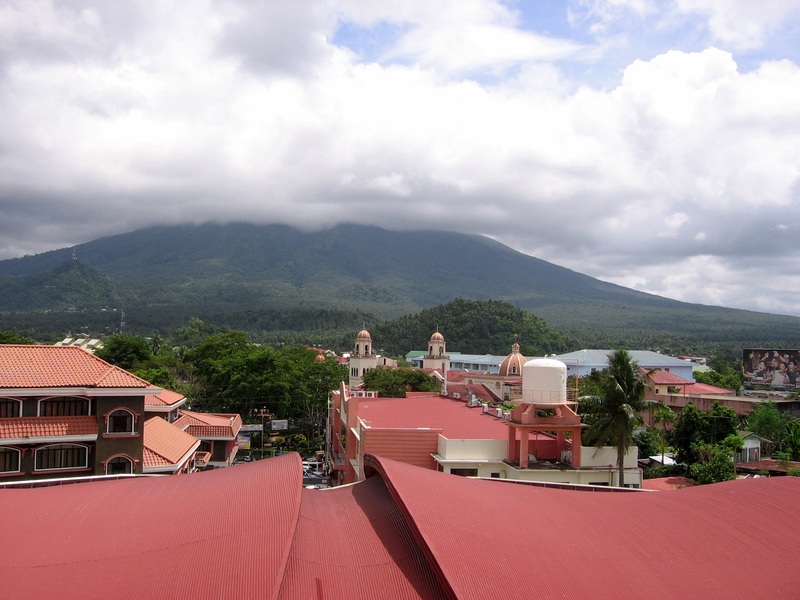 Iriga at the background. When I posted the photo above on Facebook, one of my friends remarked that the roofs in this place are nicely painted. Prominent in the photo is the roof of a convention center. 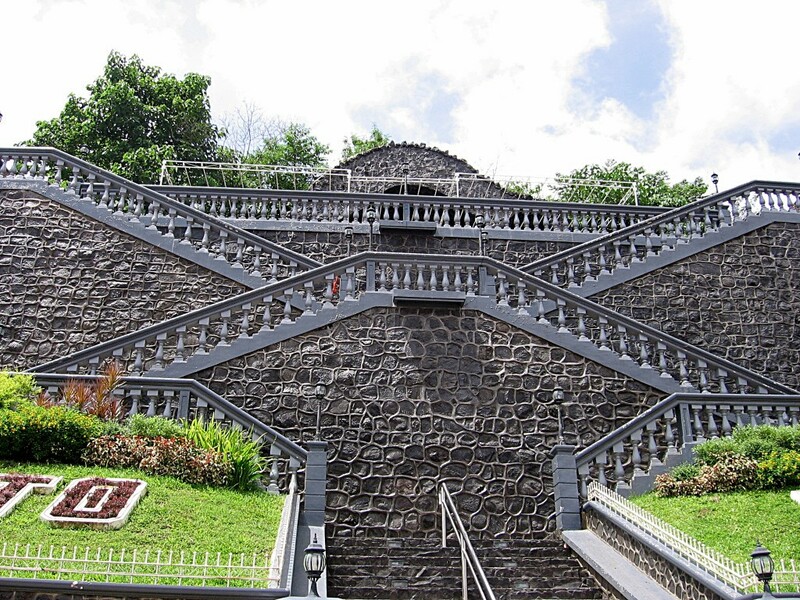 It is a grotto of Our Lady of Lourdes. 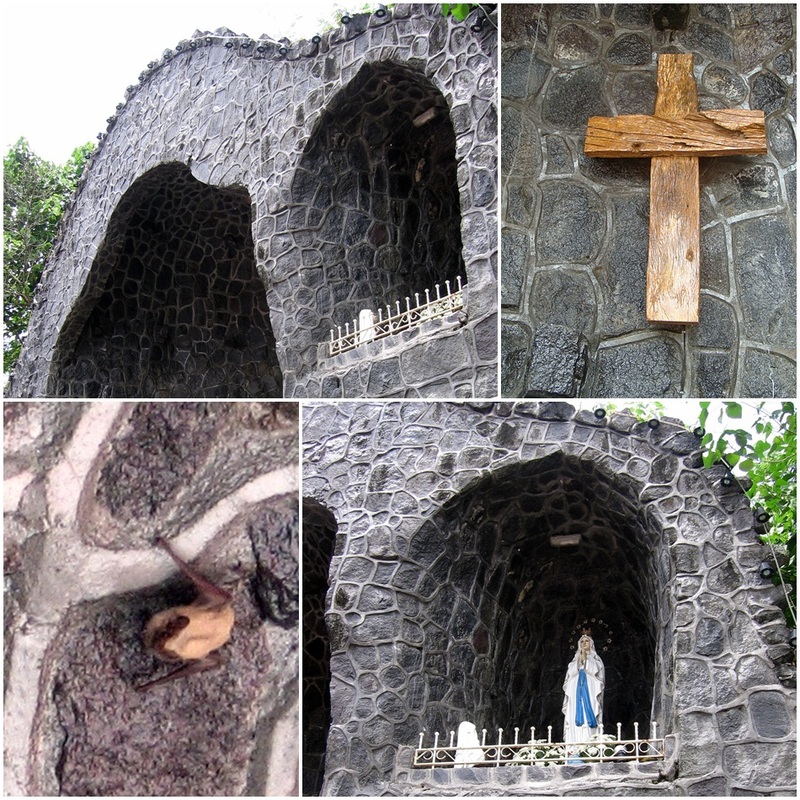 Since it is in cave-like structure, there were bat poop in the floor in the crucifix area. When I looked up the ceiling, bats were sleeping ( lower left corner in the photo above). 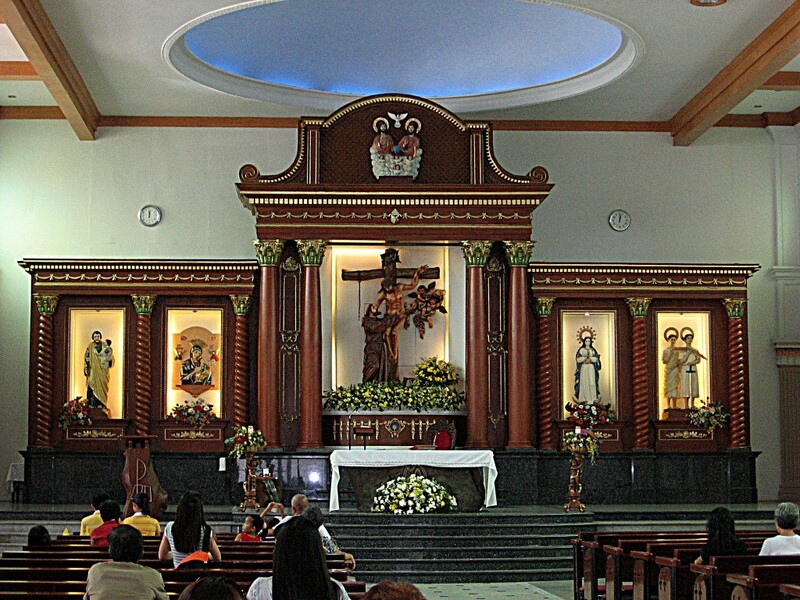 Visita Iglesia is a Catholic practice during Holy Week to visit different churches and pray. It was not the holy week but by the number of churches we visited, we were church-hopping one after another. 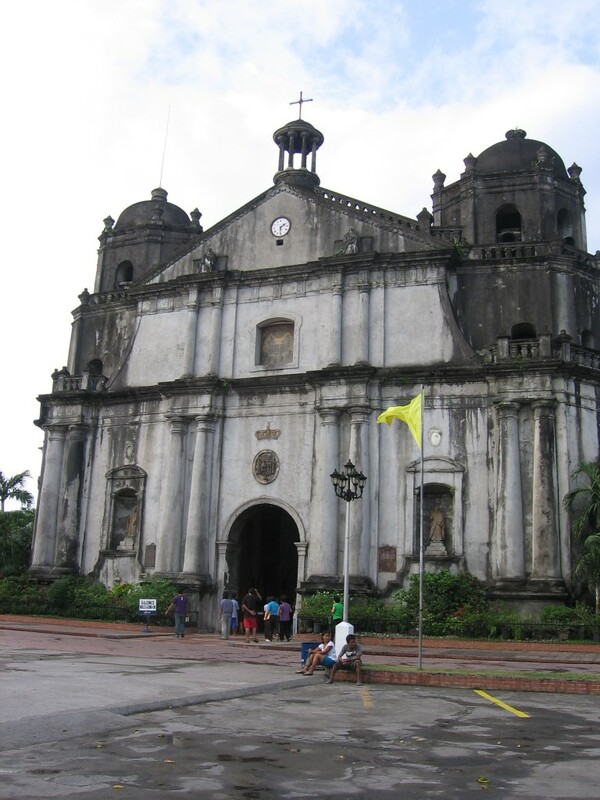 Bicol is full of beautiful churches. 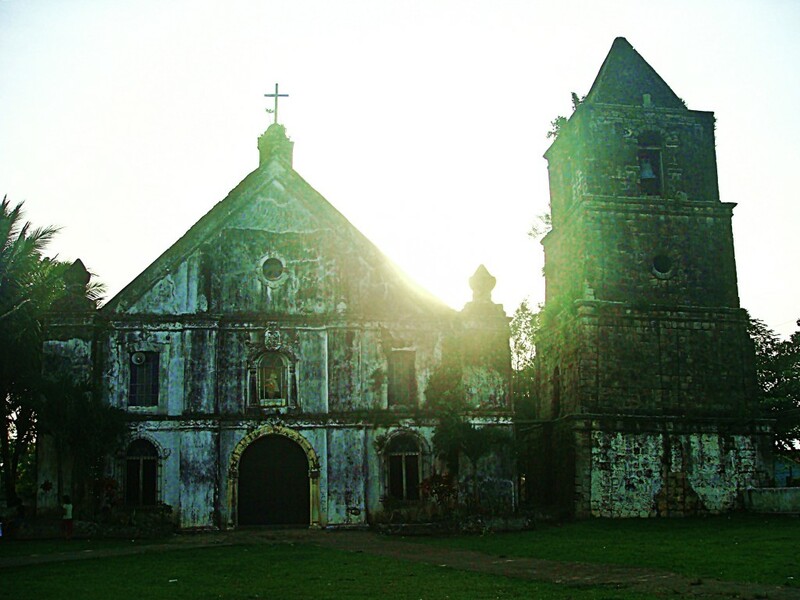 Although my city of Butuan was the site of the first mass in the Philippines, all that is left to us is the ruins of an old church. 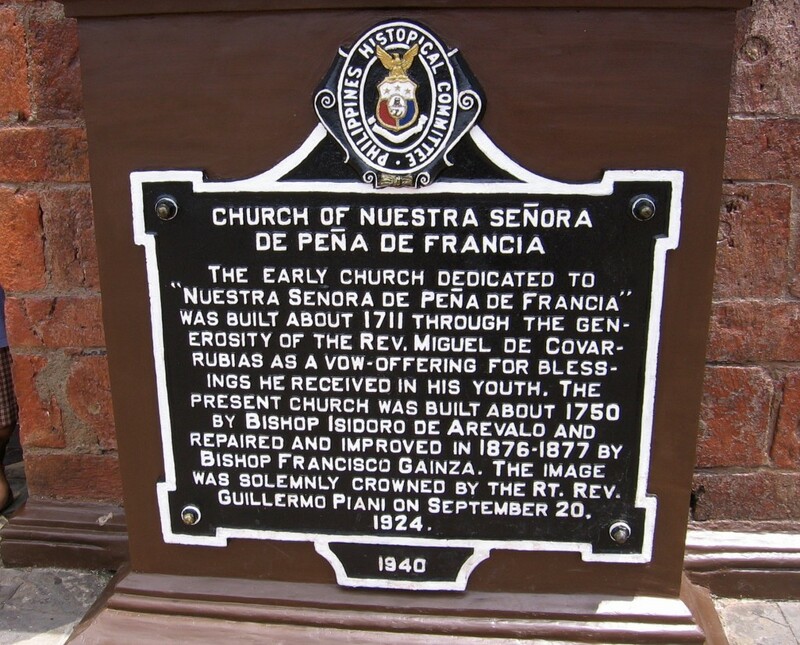 I guess Spaniards easily warmed up to the good-natured Bicolanos compared to the fierce Butuanons. I guess they did not come back to Butuan after the first mass. This is the church in Bombon with a leaning bell tower. We were allowed to climb up the bell tower. 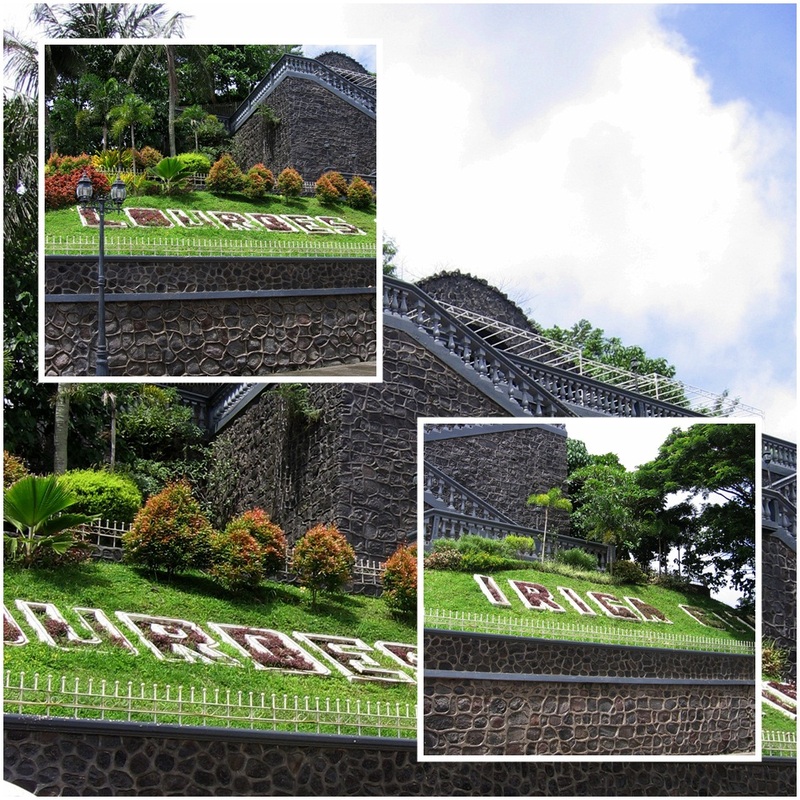 While in Iriga, we dropped by this church. 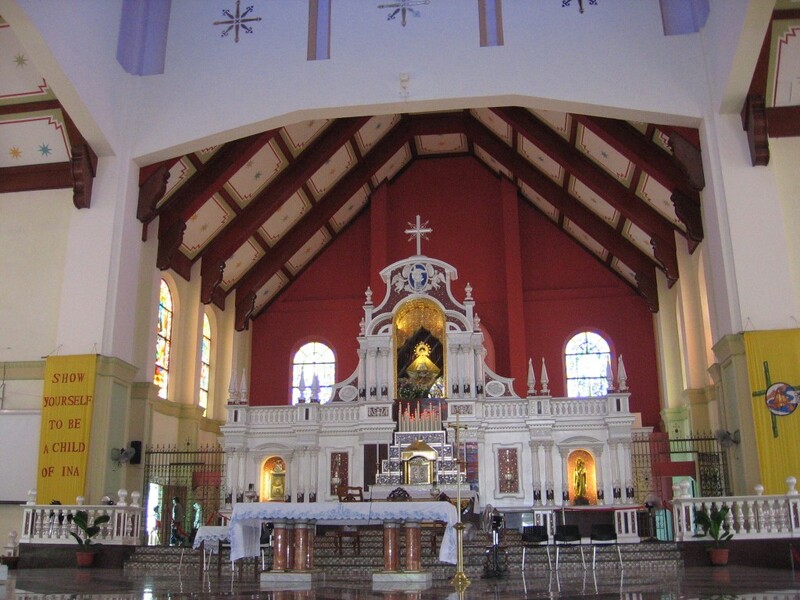 In Naga, there were four prominent churches we visited. 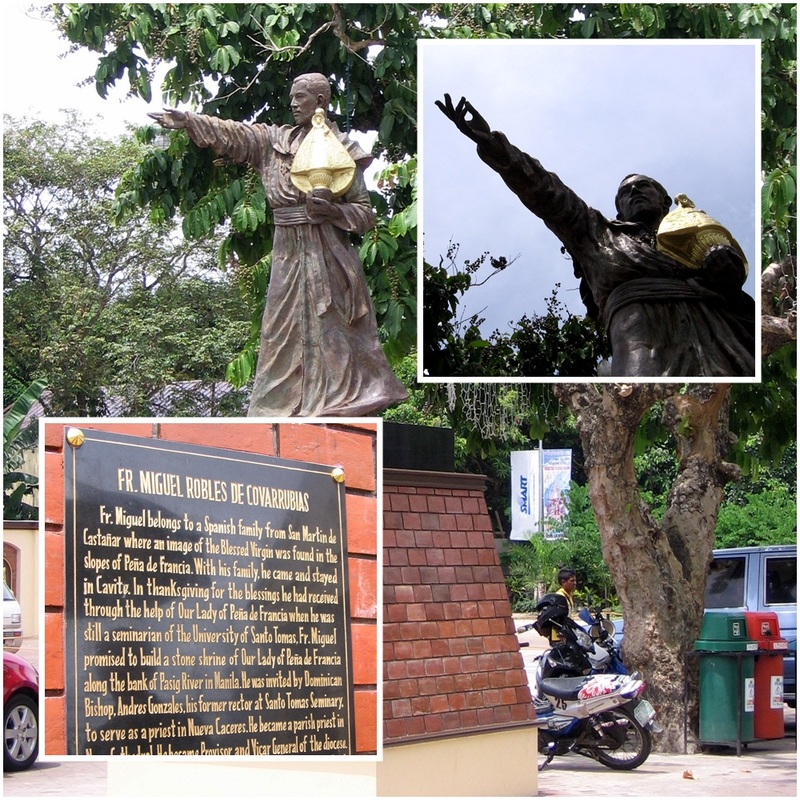 Miguel de Covarrubias brought the image of Our Lady of Peñafrancia to Naga. This is the facade of the church. This is the Metropolitan Cathedral. 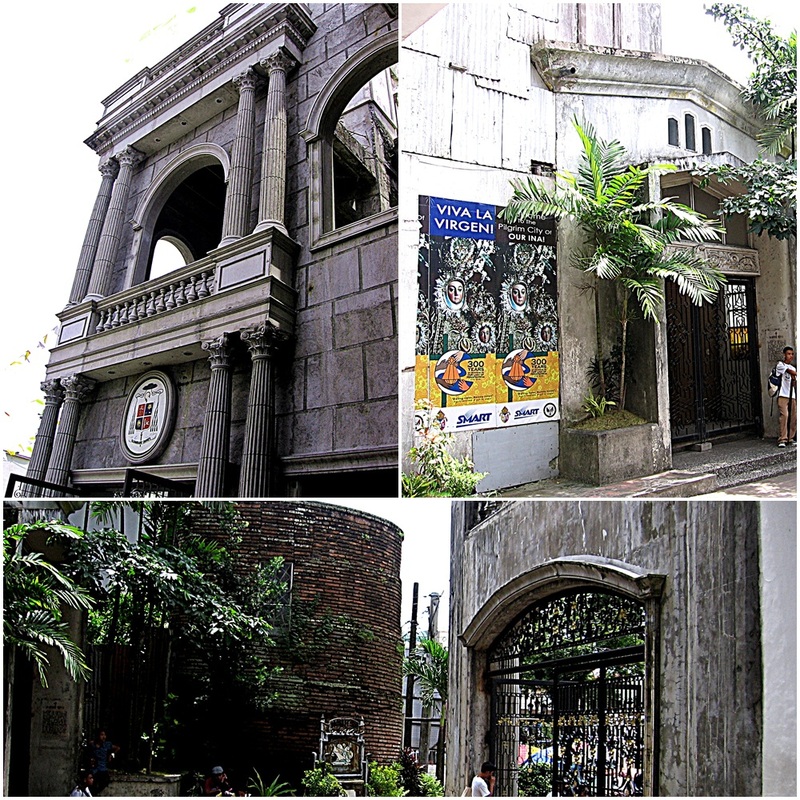 It looks like any other old church in the Philippines. What makes this special is that it has covered gazebo in the middle where can be used as a stage when there is a large gathering of people. 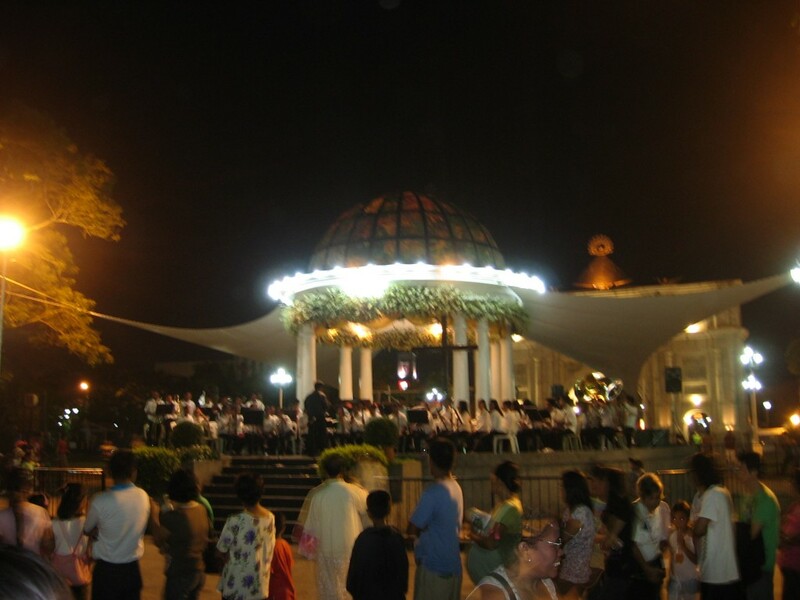 An orchestra played music to the devotees who flocked to see the image of the Blessed Virgin. 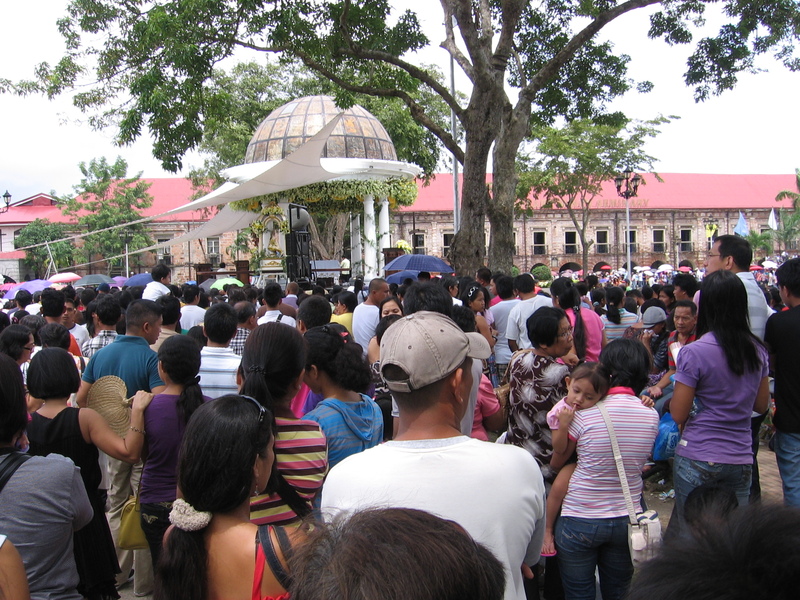 During the Peñafrancia, mass was celebrated outside, too. 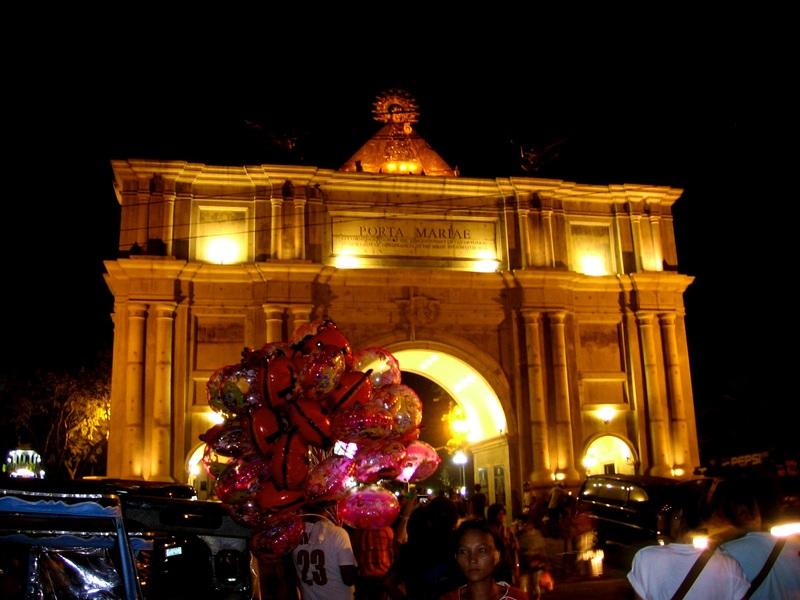 But the grandest aspect of the Metropolitan Cathedral is the Porta Mariae. 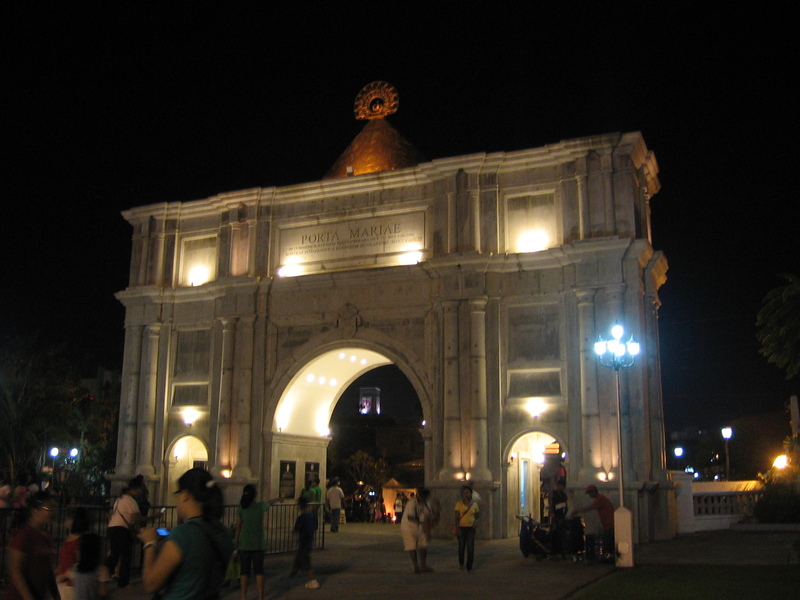 It reminds me of the Arc de Triomphe in Paris. This is the view on the other side. Isn’t it majestic? 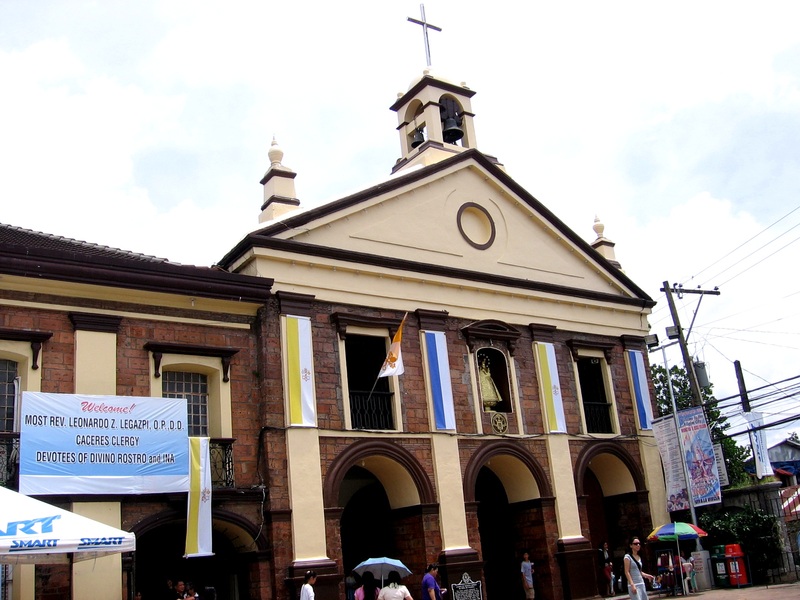 This is the San Francisco Church right in middle of the busy streets of Naga. It looks like an old church but it was actually a newly-built church. I attended mass here in Bicolano and I did not understand a word. I tried to follow the mass by observing the rites. I think all Catholic masses had the same sequence. I like their retablo. It is simple and elegant. 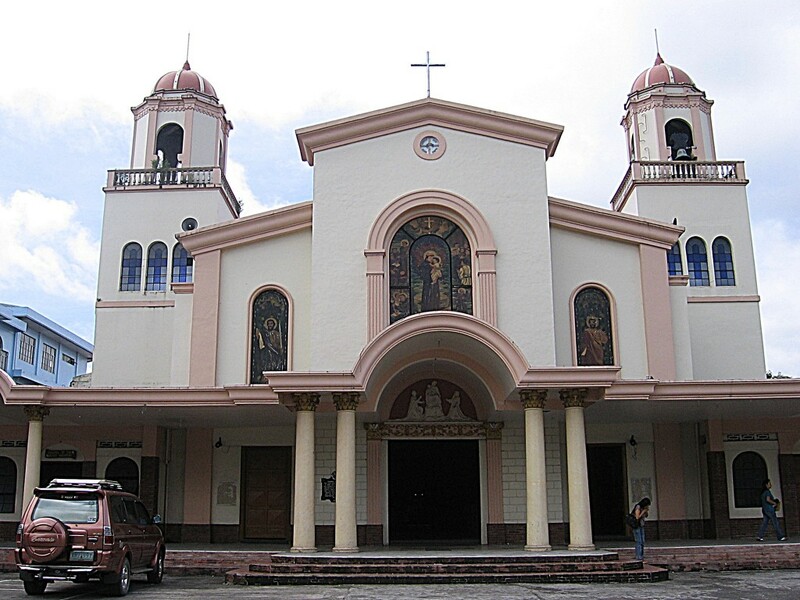 Below is the Basilica Minore de Nuestra Señora de Peña de Francia. In the ranks amongst churches, a basilica is a notch higher than a cathedral. I think the pope needs to proclaim it as such before it is called a basilica. I bet there are other requirements for such a classification. 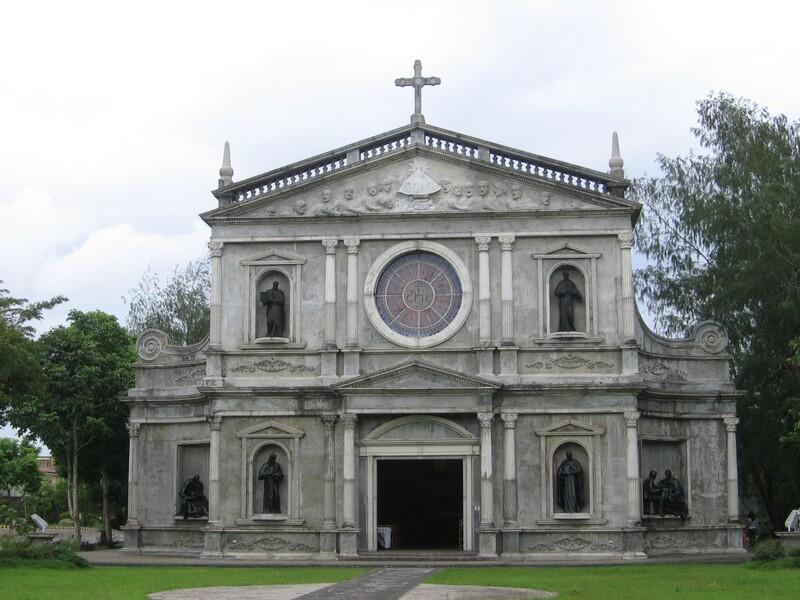 The Basilica is the home of Our Lady of Peñafrancia. At the center of this ornate altar is the image of the Blessed Virgin. Devotees can touch the image by climbing up the steps on the side of the altar. 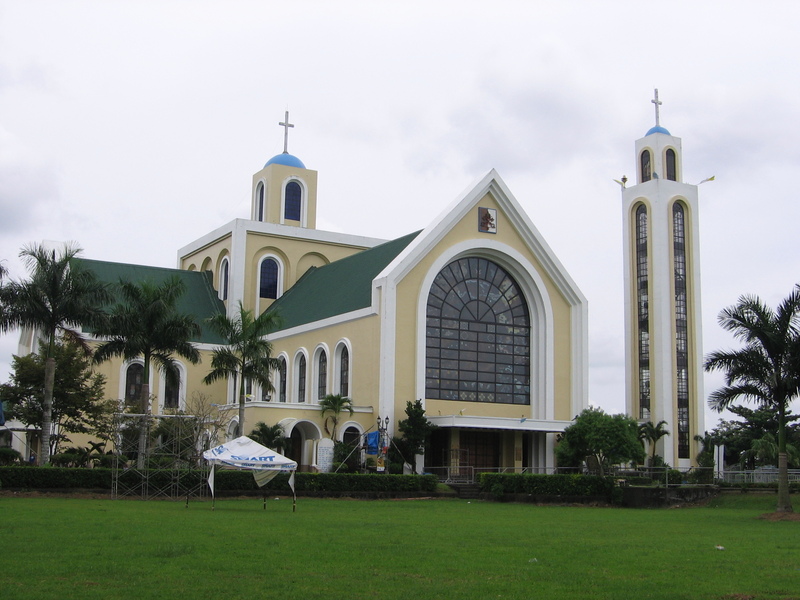 Even Ateneo de Naga University has a beautiful church. More stories on my Naga trip will be posted in the coming days.